Yoga isn't just about touching your toes. Here are some of my favourite, inspiring posts from some amazing people. 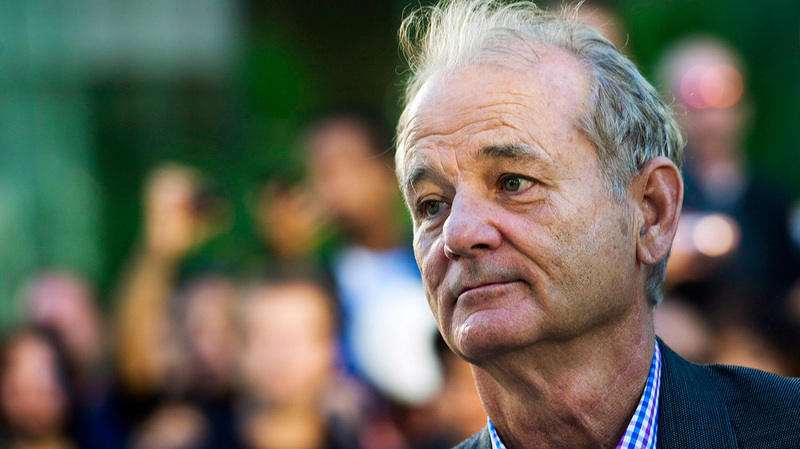 ﻿Bill Murray speaks at TIFF 2014 and shares his insights into finding your way home. Stephen Hawking has a message for us all. It's not rocket science. Have you heard about the Polyvagal Theory? Stephen Porges made some amazing discoveries about the vagus nerve (not Vegas, as in what happens in stays in, but vagus, as in the wanderer). Seth Porges explains the theory really well in this 20-minute video. It's worth the 20 minutes to watch it! Jessica Walsh (of design firm Sagmeister & Walsh) and her best buddy Timothy Goodman (the same people from 40 days of dating) are together again, this time to explore Kindness. This is a fun and creative look at how to be more kind, with others and yourself. What can you do to make the world a kinder place? I haven't been good at setting boundaries in my life, but I've always highly valued compassion. So it was interesting for me to listen to Brené Brown say that we need boundaries to be able to have compassion. Whoa! and YES! When I have more clear boundaries, I can keep MY issues (yes, I have issues, too!) separate from YOUR issues (yes, you also have issues, and that's ok). When one of my kids walk in the door with their awful day spilling out of them onto my clean floor, if I can keep THEIR issues separate from MY issues, I can see that what is happening requires compassion and empathy, and I can respond in a healthier way for all of us. If you haven't encounter Brené before, check out other videos of her here and here. It's hard to be a woman. We are judged for our bodies, the outer layer often valued more than the inner layers. This ad campaign by THIS GIRL CAN is amazing and inspiring—I can't help but smile every time I see it. Get out there, move your body. Sweat like a pig, feel like a fox. "The self is a projection, based on other people's projections. But is it who we are, or who we really want to be?" "How many times would my self die before I realised that it was never alive in the first place?" "Let's not be freaked out by our bountiful nothingness. It's more a reality than than ones our selves have created." ﻿Leslie Kaminoff﻿ is a yoga educator and anatomy guru. Here's a video of him answering the question, "What is flexibility." How much flexibility do you need? Do you do yoga do live your life, or do you live you life to do yoga? Should we be pursuing unlimited flexibility with an unbridled passion? People often say that they aren't flexible enough to start doing yoga, but Leslie says here that, "yoga is more dangerous for the flexible than for the stiff." ﻿Jim Carrey's Secret of Life. "My soul is not contained within the limits of my body. My body is contained within the limitlessness of my soul." Some good reminders from Jim Carrey. "Everybody's trying to feel good to quiet the uncomfortable noise." Here's a clip from Oprah's Super Soul Sunday with Pema Chödrön. The richness of life includes a whole tapestry of emotions. It seems like a small thing, like an easy thing, but kindness is something that can make a big change in the lives of the people who experience it, and also in the lives of people practicing kindness. Try it! And don't forget to show yourself a little kindness, too. ﻿﻿Are you your own worst enemy? Is the script running in the background all negative? How does all that negative thinking make you feel? What happens when you change the script? Try some positive thinking. Be your own cheerleader and see how things start to change! Arthur's story is highlighted in an upcoming documentary, INSPIRED: The Movie. Watch here for some clips that show how yoga changed this life. If you commit to your practice, yoga can transform your life! Learning to love ourselves is hard. But accepting yourself is the first step to be learning to love others.